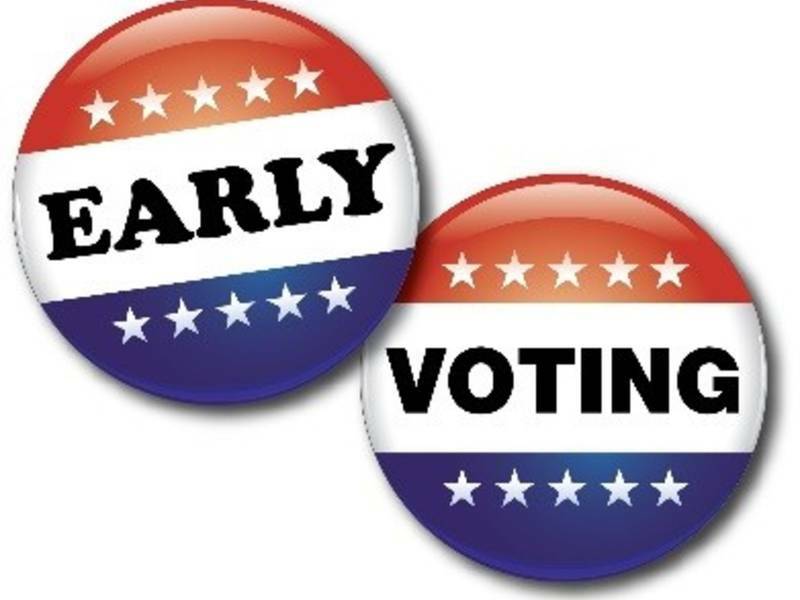 EARLY VOTING @ VILLAGE HALL: Cast your votes early for the April 2 Consolidated Election during the following dates: Monday (March 18) through Saturday (March 23) from 9 a.m. – 5 p.m. at Mount Prospect Village Hall (50 S. Emerson St.) Candidates are running for Trustee for the Village of Mount Prospect and Library Trustee. KNOTS OF LOVE: Help bring comfort to pediatric patients at Advocate Lutheran General Hospital while honoring the memory of Mount Prospect resident Lauren Graver who passed away at age 7 from cancer in 2017. When Lauren was admitted to the hospital for treatment, classmates and teachers at Lions Park Elementary gave her a rainbow-patterned fleece blanket. Since then, some 700 blankets have been made and given to patients. The fourth annual Knots of Love event is scheduled for Friday (March 15) from 4:30 – 9 p.m. at Prospect High School (801 W. Kensington Rd.) The community is invited to bring materials such as fleece to assemble the blankets. The Graver family will also be selling T-shirts to raise money for a scholarship in Lauren’s memory. To donate, visit www.214foundation.org/scholarships. ORGANICS PROGRAM: The Village of Mount Prospect has rebranded the yard waste program: it is now the Unlimited Organics Collection Program. Residents must provide their own rigid container or obtain one through the cart rental program. Acceptable organics include fruits and vegetables, pastas, bread, crackers, coffee grounds, cheese, yogurt (no liquids), grass clippings, brush, flowers and leaves. The service is available for no additional charge from April through mid-December. WRITERS GROUP: Do you enjoy writing short stories, poetry or another creative format? Are you looking for constructive criticism in a friendly environment among others who share your passion? Join the Mount Prospect Writers Group on Tuesday (March 19) from 7 – 9:30 p.m. in Study Room 2A on the second floor of Mount Prospect Public Library (10 S. Emerson St.) The group is open to all adult writers with all levels of writing experience, in all genres. Bring up to five double-spaced pages and copies to share (approximately 10) with group members. A modest fee is required on a quarterly basis. The Writers Group meets the third Tuesday of every month. Questions? Contact Larid Larsen at l-larsen@att.net. SEW BEE IT: If quilting or sewing is your hobby, join others who enjoy the same on Wednesday (March 20) from 9:30 – 11:30 a.m. in the Community Rooms of Mount Prospect Village Hall (50 S. Emerson St.) Beginners to seasoned pros are welcome. Sew Bee It meets the third Wednesday of every month. For more info, call Cindy at 847/392-9006. JAN SCHAKOWSKY’S OFFICE: Meet privately with a representative from the office of Ninth District Congresswoman Jan Schakowsky on Wednesday (March 20) anytime between 2 – 5 p.m. at the Main Branch of Mount Prospect Public Library (10 S. Emerson St.) Ask questions about immigration, visas, Medicare, Social Security, veterans’ benefits and other federal services. Representatives from the Congresswoman’s office visit every Wednesday. This meeting is held in Room 130 on the first floor. —-LENTEN FISH FRY: Enjoy a fish dinner with sides on Fridays through April 12 from 5:30-7:30 p.m. at Knights of Columbus Hall (15 N. Hickory Ave. AH.) The cost is $10, $5 for ages 6-12, and free of charge for those age 5 and younger. Dinner includes breaded cod, tater tots, coleslaw, cornbread, French cut bread and complimentary coffee or tea. Soda, wine and beer are available for purchase. Proceeds benefit the youth ministries at St. James, St. Edna, Our Lady of Wayside and St. Colette Catholic Churches. Funds raised will also assist Special Olympics. —-PET EXPO: Bring the family to America’s largest pet expo happening Friday (March 15) from 1 – 9 p.m., Saturday (March 16) from 9 a.m. – 6 p.m. and Sunday (March 17) from 10 a.m. – 5 p.m. at Arlington International Racecourse (2200 W. Euclid Ave. AH) More than 200 exhibits of pet products, services and rescues will be available. Admission is $10/adults; $5/ages 3-12 and free/ages 3 and younger. Parking is $7. Please leave your pets at home. For more info, visit www.petchicago.com. —-HEALTH TALKS @ AHML: Learn about colorectal cancer on Tuesday (March 19) from 7 – 8:30 p.m. at a Northwest Community Healthcare presentation at Arlington Heights Memorial Library (500 N. Dunton St.) Register by calling 847/392-0100.